The Window Viper Glass & Gutter Cleaning Service is Insured by Intact Insurance for $5,000,000.00 so you can rest assured that you and your property are protected from any damages incurred as a result of an unfortunate accident. ​We proudly exhibit our clearance documents online for the public to see. Your safety and the safety of your property are of utmost importance to us. 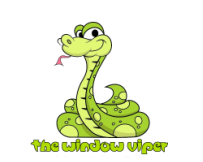 When you hire The Window Viper to service your property you can rest assured that the preservation and protection are at our foremost attention. In the unfortunate event that a major catastrophe is caused by our direct fault, you can rest assured that the proper coverage is in place. When working at heights - all staff must possess valid rope access training certification and all roof anchors must be inspected and proof of validation must be provided to us.